Endurance coaching and strength training for the mountains. We coach trail runners, ultrarunners, skiers, climbers, and mountain enthusiasts of all abilities to reach their goals through personalized training. We specialize in personalized, progressive and long-term endurance training for mountain/trail runners, skiers, mountaineers, and climbers. Alison has been a competitive ultrarunner for fourteen years, a coach and massage therapist for ten. Her holistic approach combines her keen eye for alignment, how the body moves, and individualized workouts. She loves helping her clients reach their goals, explore new limits, and find new confidence in their athletic endeavors. She can be found traipsing through the mountains for hours with her husband and Husky in the nearby Cascades. She is a Washington state-licensed massage therapist, a NCSA-certified personal trainer, a RRCA-certified running coach, and certified Training Peaks coach. Sam's history and experience as a national-level Nordic ski racer gives him a deep understanding of endurance and strength training that he passionately transfers to his coaching of runners, backcountry skiers and other mountain athletes. His clients notice improvements in their performance by developing a strength reserve and lean body mass which translate to greater economy and efficiency, especially on hilly and steep courses and mountain terrain. Sam passionately pursues all manners of mountain activity, most happily alongside his family and friends overlooking some epic North Cascades vista. Success. 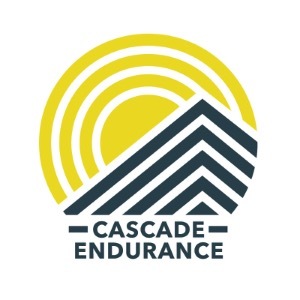 Coach Cascade Endurance has been notified of your message.